Dancing Light Gallery is a unique and exciting Art Gallery located 14 miles from the heart of Edinburgh. We concentrate on displaying original art to suit everyone’s taste and pocket. 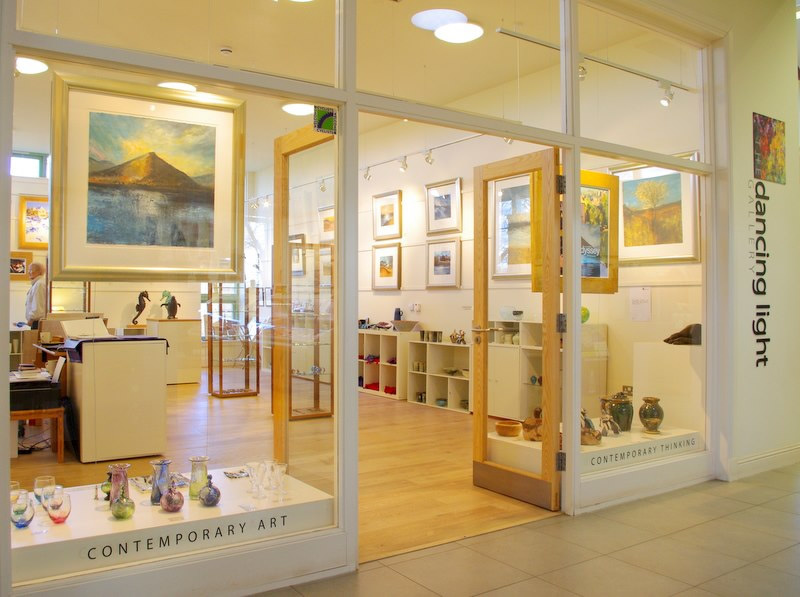 Our wonderful paintings, ceramics,wood work, glass, jewellery and textiles are individually crafted and made by some of the most talented and professional artists to be found both nationally and internationally. We host mixed exhibitions and you will always be able to find landscapes, abstract work, needlework / textile, portraits and still life’s in the gallery. The exhibitions change every 8 weeks with one solo exhibition for a chosen artist once a year. Dancing Light Gallery is situated on Whitmuir Farm where you can find not only us but an amazing restaurant / coffee shop, an organic farm shop ,Quercus Plant Nursery, Gladstone Bag Antiques and many walks and trails Including a Fairy walk. We have parking for disabled drivers and passengers, accessible toilets and there are no steps to access either the building, toilets or the gallery (see 360 tour below). We are wheelchair friendly. A lovely place to spend the day. We look forward to welcoming you….